What exactly is Anglesey Council Public Health Strategy? The Council plans to close Holyhead and Amlwch swimming pools suggests a public health disaster in the making. "The benefits of a good balanced diet and a healthy lifestyle with regular physical exercise are well known. Yet the most recent studies for Anglesey show that at most only about 40% of us meet the recommended guidelines and that there is a worsening trend of obesity and overweight amongst children and young people on the island. We now recognise that simply knowing the benefits of a healthy lifestyle is not enough and we also need healthy public policy, strong communities, a range of healthy choices and the skills to make use of the choices available. It is only through the combined efforts of school communities, parents, governors, policy makers and young people themselves that we can create the supportive environment in which health can flourish." So please, Jo Charles, tell us, the concerned residents of Anglesey, how closing Holyhead and Amlwch swimming pools contributes to a "supportive environment" for our kids and elderly people wanting to stay healthy? Please have a word in the ear of the Anglesey Executive about this unsustainable policy position. is that what they mean when the result of swimming pools closing in Holyhead and Amlwch would be to make people travel back and forward to Llangefni? a very green and sustainble policy that!! 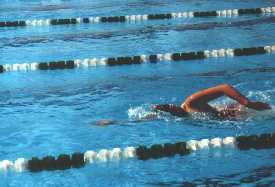 keep the pools open, this is the best way to get good health for all people. to close them is crazy. what's the point of talking about eat healthy if you close swim pools. They go together! !